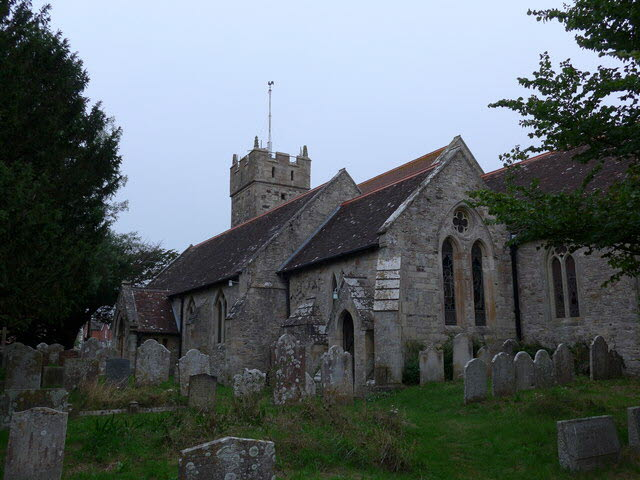 The resting place of Alfred Lord Tennyson’s wife Lady Emily and his sons Hallam and Lionel, Freshwater All Saints Church has an atmospheric and interesting churchyard with far reaching views of the Yar estuary. Carpeted with flowers in the springtime and full of ancient yew trees, the church was listed in the Domesday Book. Inside is a memorial to Tennyson, a large cast bronze of his head, which was given by the Farringford Tennyson Society in 1992. Robert Hooke the 17th century scientist, lived down the road, and was baptised here in 1635. All Saints has Saxon and Norman stonework and early Gothic Arcade with Victorian additions. Around 1190-1200 aisles with three-bay arcades were added to the Saxon nave, and chapels were created to the north and south of the original chancel. In the late 13th century a giant arch that projects from the west wall was added. The 13th century tower has a peal of six bells and more recent additions include a nave altar and choir stalls and a social area at west end. All Saints was heavily restored in 1875-6 by W.T. Stratton and looks largely 19th century outside. The stone pulpit, with its black marble columns, is thought to date from 1875-6. In the south aisle is a two-light stained glass by Morris & C. It is based on a painting by the Victorian artist George Frederick Watts showing the Arthurian knight, Sir Galahad on a horse on the left, and again in armour on the right.